Who else is ready for turkey day? The day we all give ourselves permission to overindulge. If your family celebrates like ours does then that may mean you are running to several different celebrations and eating lots of turkey, rich gravy, and all the fixins'. Although it is very rare for us to host Thanksgiving at our home, I still cook a turkey and make all the sides to enjoy for the few days after the holiday. 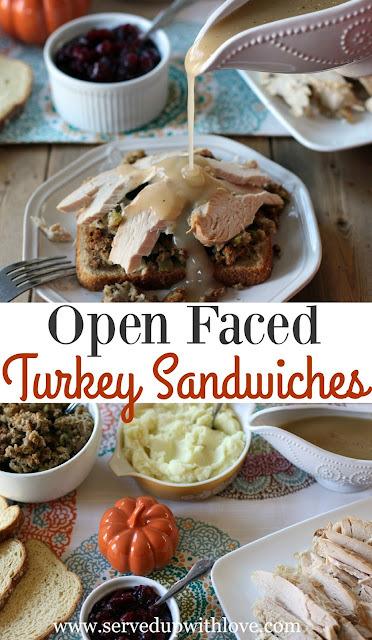 This makes it easier to just open up the fridge and make a quick meal. It is all fun and games until that uninvited visitor shows up! You know what I mean, HEARTBURN!!! My husband and I both suffer from heartburn but we do not let it stop us from enjoying the foods we love. 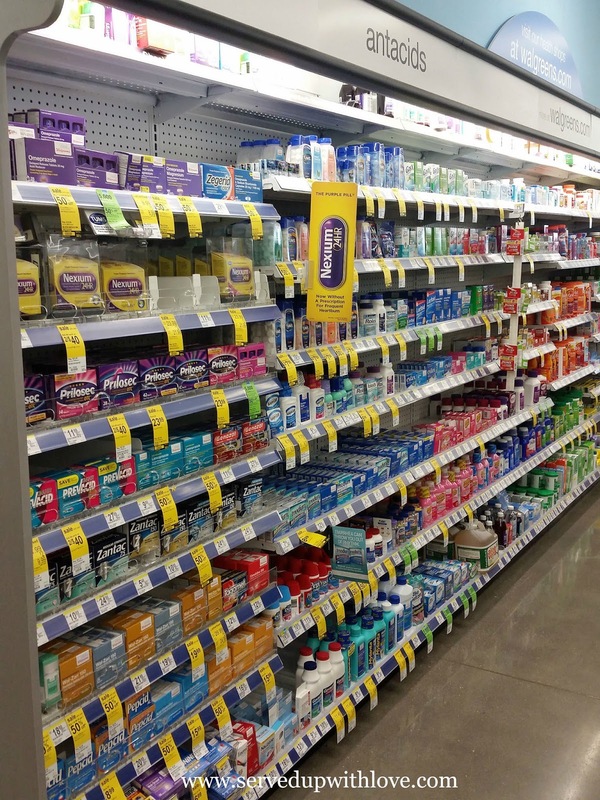 A little pre-planning and a quick trip to Walgreens to grab Nexium® 24HR 42ct Tablet and we won't have to worry about any flare-ups ruining our holiday. It gives us all day and all night protection so we can make the most of the holiday. With just one pill, our frequent heartburn doesn't stand a chance. Plus, there was an $2 in store coupon that sweetened the deal. We both have certain foods that flare up our heartburn. Dairy tends to be a huge factor for me but for my husband, it is a surefire bet that a rich gravy will get him every time. In the past he would pass up on the gravy because it was just not worth the miserable after effects even though he loved it. Now, because of Nexium® 24HR he has no worries and enjoys it every chance he gets. 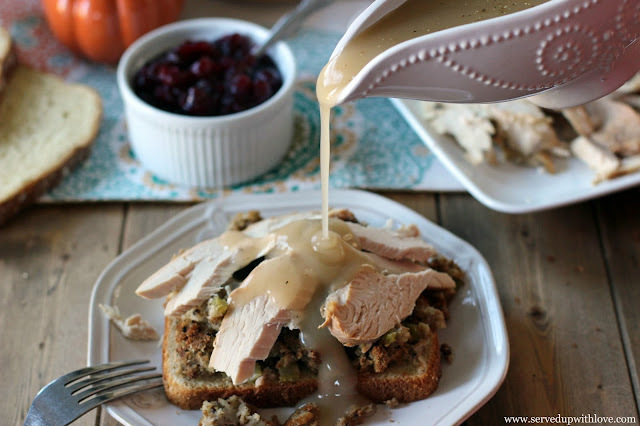 We all know that turkey is just not the same without the gravy! After a couple traditional Thanksgiving meals we tend to just grab the leftovers and throw together something entirely different. We just pile it all up on leftover rolls or in this instance, a slice of potato bread. Pour that warm rich gravy over the top and dig in. 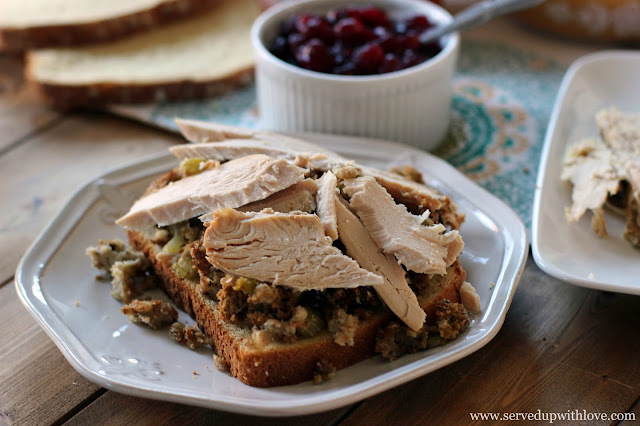 Now that is how you rock those leftovers! 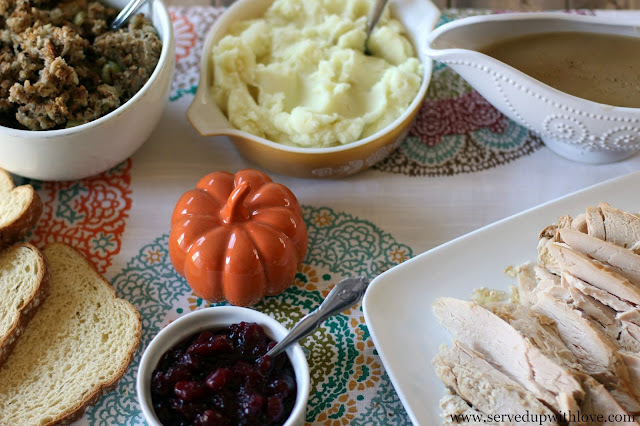 Would love to know, what is your favorite thing about Thanksgiving? On a plate, place a slice of bread or a couple of dinner rolls. Top with leftover stuffing, turkey slices, and pour over hot gravy. 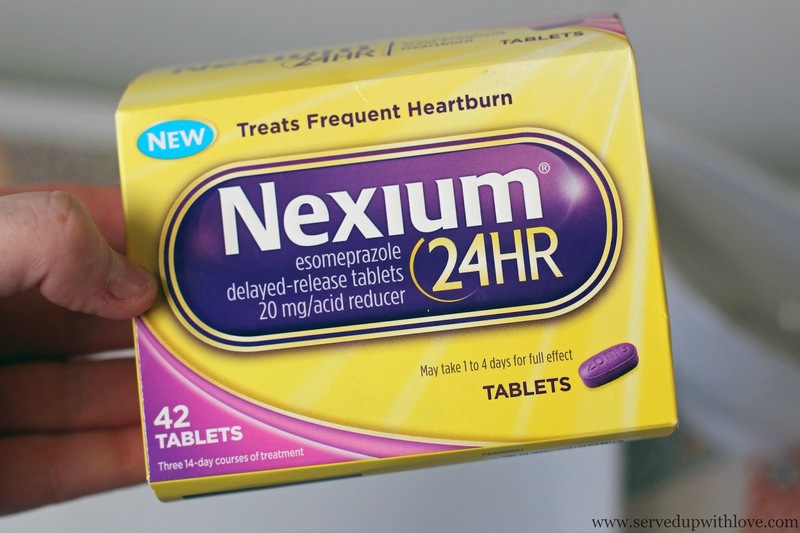 **Nexium® 24HR may take 1-4 days for full effect. Use as directed. The perfect way to use up those leftovers. Thanks so much!! Sounds like a fabulous and filling meal!! This made me Really hungry!!! Thanks so much Becky! I think I enjoyed this more than eating the turkey alone. Leftovers is where its at!